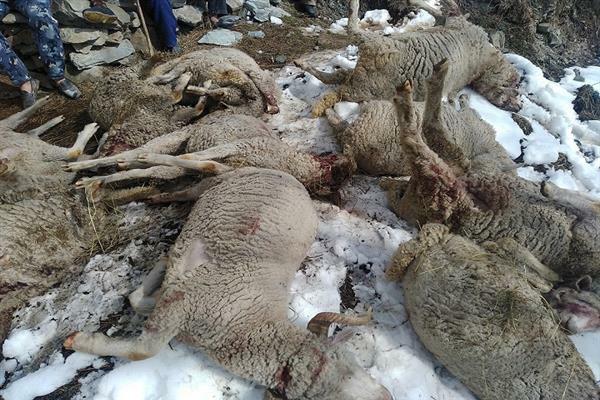 Karnah, Feb 11 (KNS): A leopard strayed into a village in Kandi Jada area of Karnah in north Kashmir’s Kupwara district on the intervening night of Sunday-Monday and killed over twenty sheep in the village. The leopard reportedly attacked a herd of sheep and goats, thus killed 20 of them in Kandi Thama hamlet of Karnah Tehsil. The sheep belong to Mohd Yousuf Paswal, son of Nasir Din of Jada village of Karnah.